After getting off QF9 and clearing immigration, I took the Changi inter-terminal monorail over to Terminal 3 and found the Crowne Plaza pretty quickly. 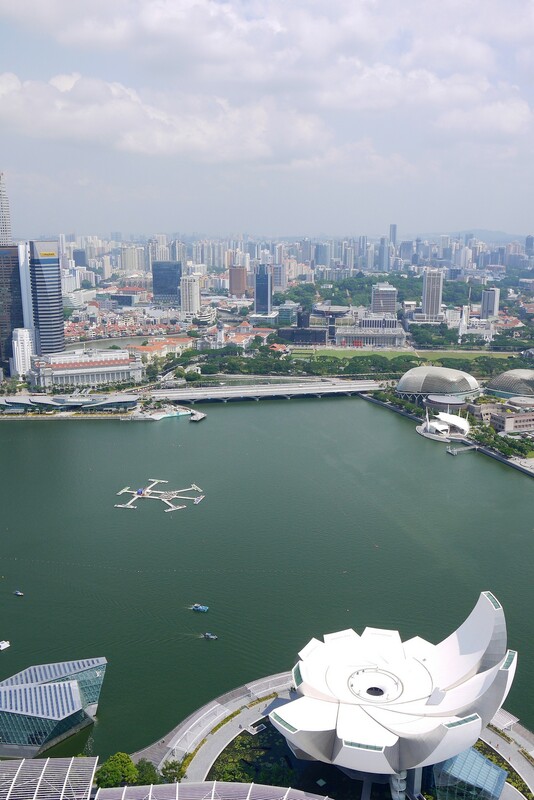 I wasn’t really in the room for long and headed out to Singapore for the day, so this isn’t a review, as such – but the Crowne Plaza was a pretty nice to stay, possibly the nicest airport hotel I’ve stayed in. But given rates are consistently in excess of $250 AUD / night, you’d hope so. 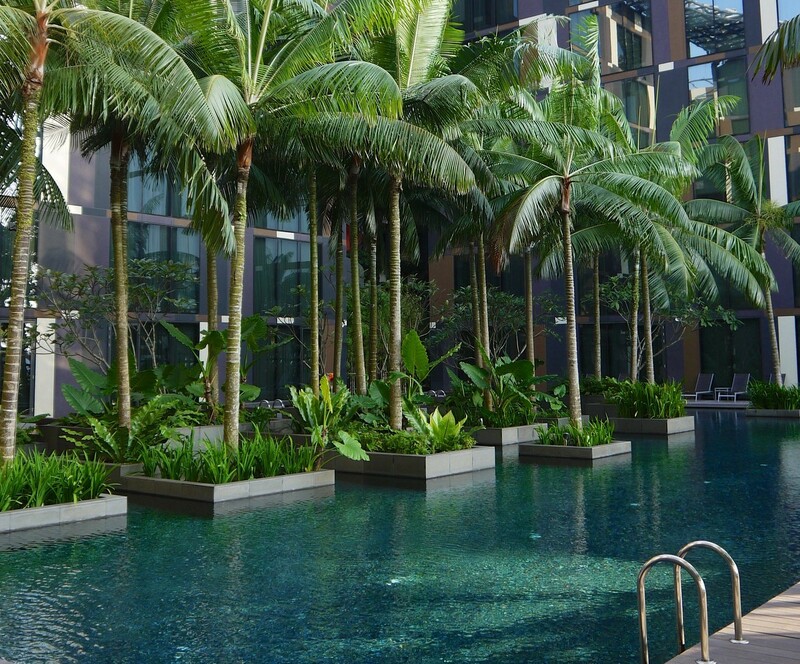 The pool was especially nice – cool, with greenery and plenty of room to swim and laze around. We spent a couple of hours here later in the afternoon after the city got too hot. We checked out around 4pm for a (supposed) 6pm departure to Penang on Jetstar Asia – unfortunately a 3 hour delay had us arriving into Penang at past midnight, so I should have spent another couple of hours by the pool – reception were happy for us to keep using the facilities after check-out, which was very useful. I wouldn’t hesitate to book the Crowne Plaza Changi if it’s in budget or you have Priority Club points to burn, and want to base yourself at the airport rather than in town. It’s totally accessible from the airport terminals, well staffed and one of the better Airport hotels I’ve stayed in. Malaysia Airlines offer 50% off award redemptions – great deal!